This is last season's Women's Vapor V - reduced to clear. The Vapor V is a notable all-around performance shoe which is designed to be comfortable straight out of the box. It's a great beginner-intermediate shoe, perfect for climbers wanting to move from a beginner shoe to something with more of a performance fit, or for more advanced climbers looking for a climbing shoe for all-day comfort. The women's Vapor V has a low volume fit compared to the men's Vapor V, making it a really good fit for people with slightly narrower or flatter feet. A rand that that pulls power from the toes to achieve performance with less tension and less painful toe cramming. The Bi-Tension Rand also reduces the amount of rubber needed under the toes, which means a lower weight and a higher sensitivity. 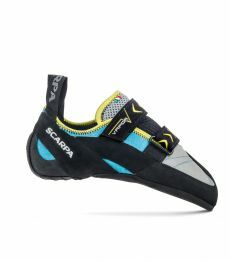 They are perfect for sessions in the climbing gym. Thanks to the tip they allow you a good grip in small places for a comfortable and effective training. I got these shoes as an upgrade to my beginners climbing shoes and I have to say I was not disappointed. I bought them a half size smaller than my last pair and after a few weeks of wear and stretch they are perfect. Great for those tricky over hangs and small almost non-existent standing holds. The large amount of rubber around the toe and heel are fantastic for cracks and heel hooks. I certainly recommend. Although, being a woman's shoe and my last pair being men's/unisex, they are a narrower fit that I am used to, in particular around the toe area. But as I said after being worn in they are perfect. I feel more confident in those tricky climbs because I can trust my shoes now. A great purchase. I borrowed the mens version, but since i'm a women i decided to try this version as well. They look pretty much the same, although they are smaller (length) and less wide than the mens version. The toe is good, but the heel is a bit big (for me). 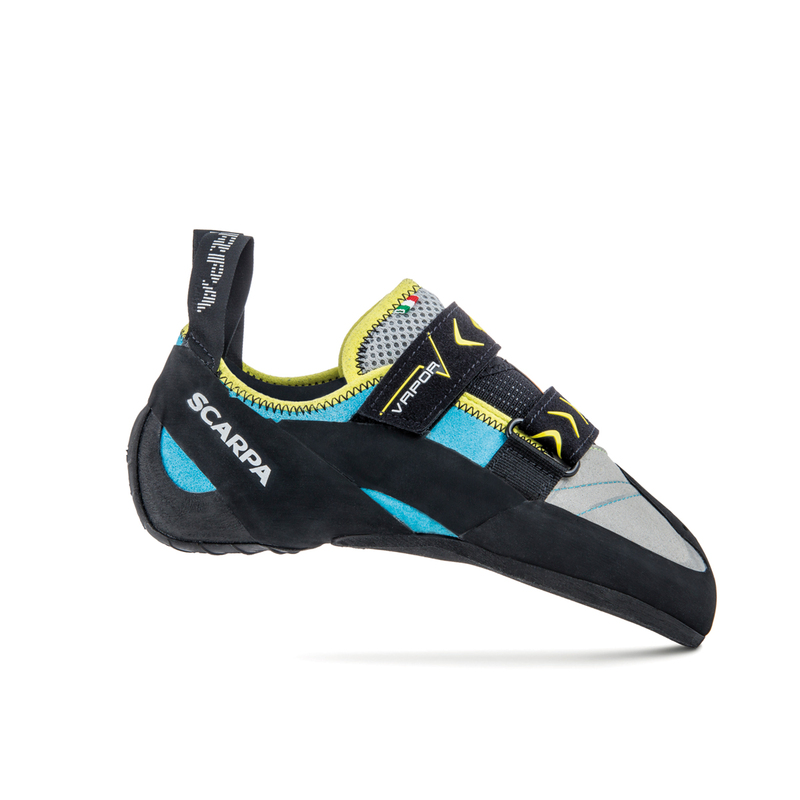 I like scarpa's a lot, probably cause they fit best with my feet. I got the techno x in 40.5 (my comfy shoe) and i would take these in 40.5 as well (now got the mens version in 40).